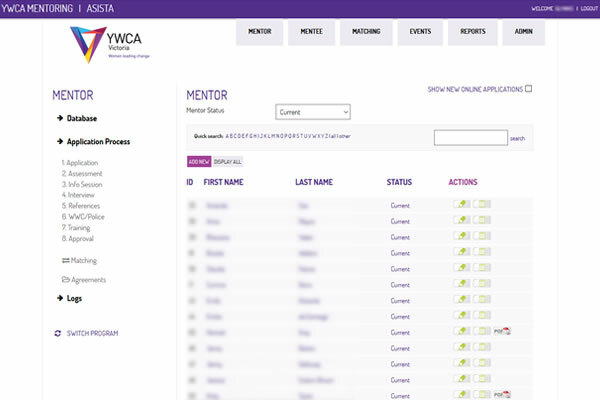 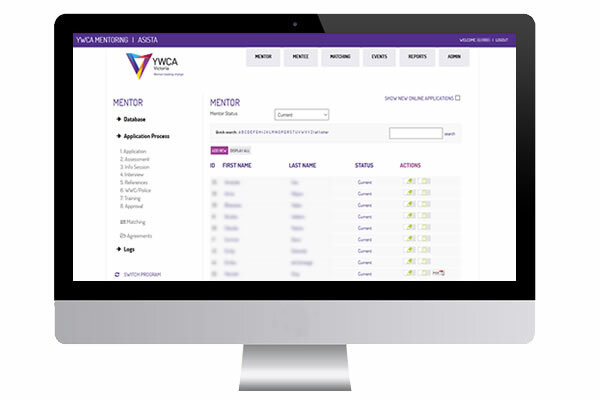 This fully customised online web application has been designed and created by Echo3 to allow the YWCA team to manage the Asista Program - matching mentors and mentees, manage events, manage users and also includes an extensive report module. 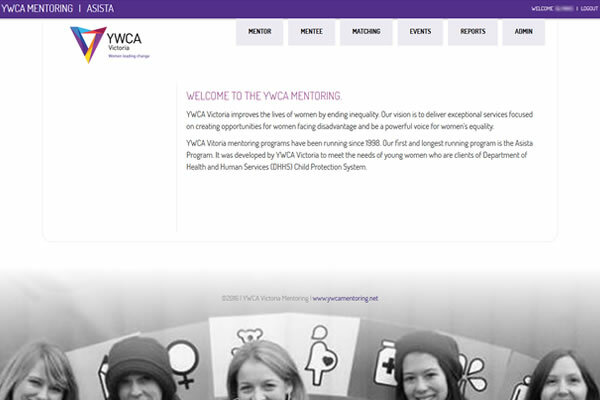 YWCA Victoria mentoring programs have been running since 1998 and the first and longest running program is the Asista Program. 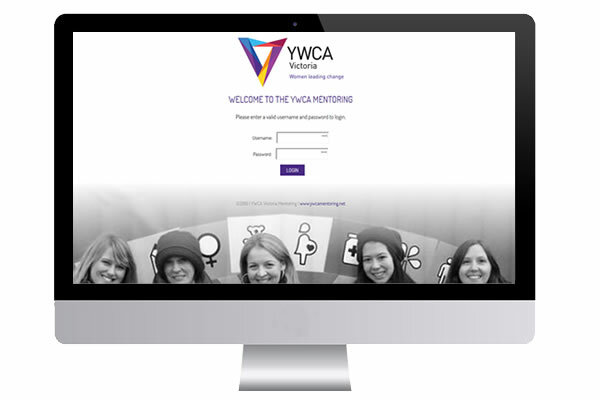 It was developed by YWCA Victoria to meet the needs of young women who are clients of Department of Health and Human Services (DHHS) Child Protection System.